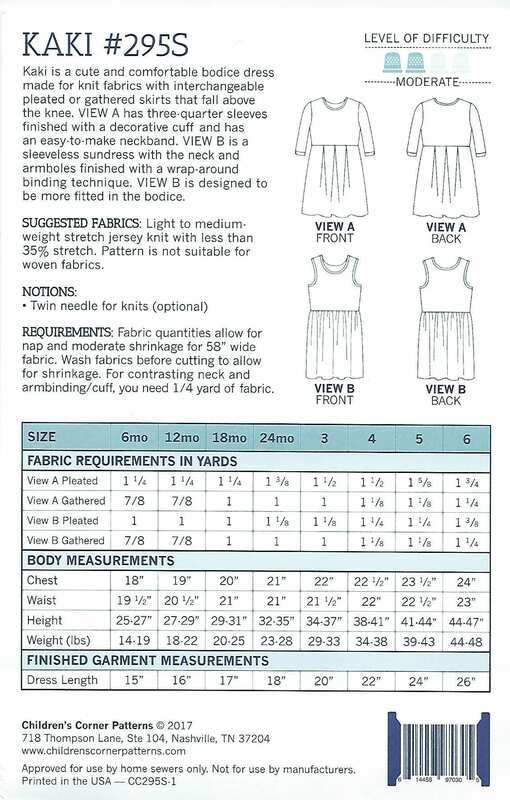 KAKI is a cute and comfortable bodice dress made for knit fabrics with interchangeable pleated or gathered skirts that fall above the knee. 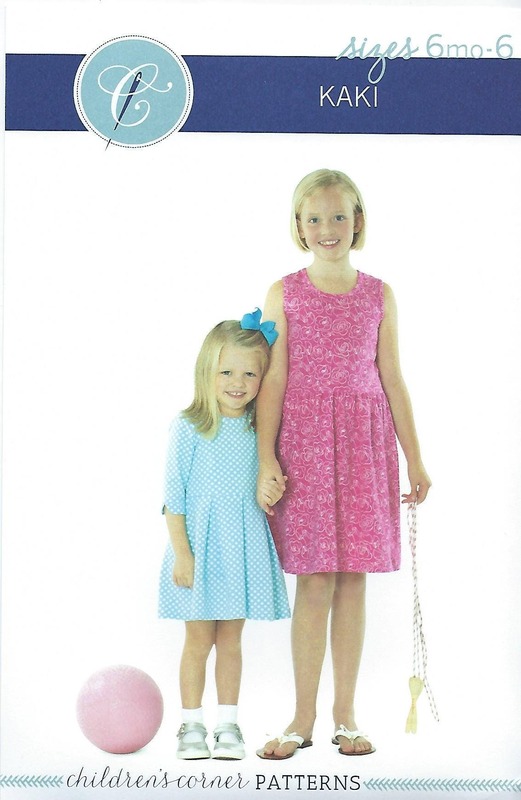 View A has three-quarter sleeves finished with a decorative cuff and has an easy-to-make neckband. View B is a sleeveless sundress with the neck and armholes finished with a wrap-around binding technique. 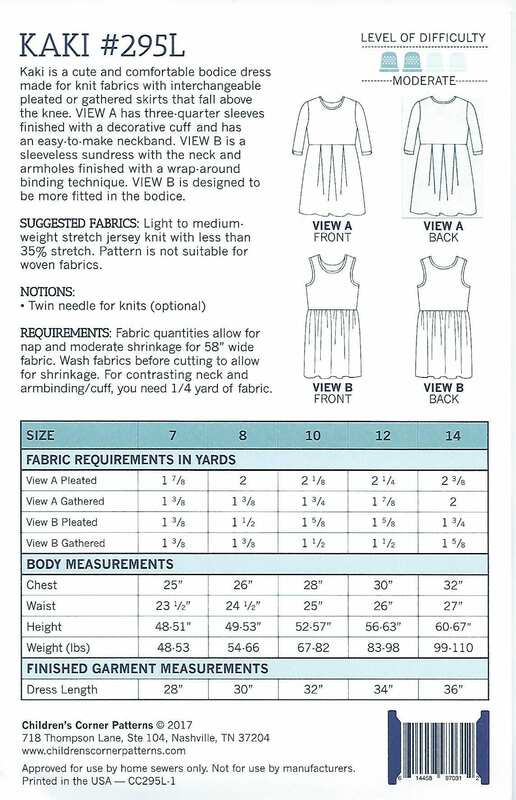 View B is designed to be more fitted in the bodice. Designed for light to medium weight Stretch Jersey Knit with less than 35% stretch. Pattern is not suitable for woven fabrics. Amazingly fast shipping. Thank you.